Nowadays, We are more aware of what we put into our skin and many people are gravitating towards natural and organic skincare sources but also demanding that these products deliver effective results. Many brands are jumping onto the organic bandwagon but there just happens to be an Aussie brand that pitches itself towards this market that I think makes amazing products. 100% Australian made and owned company. Started in 1985 by husband and wife team Dr. Jurgen Klien and Ulrike, both chemical scientists with backgrounds in herbology, homeopathy and alchemy. 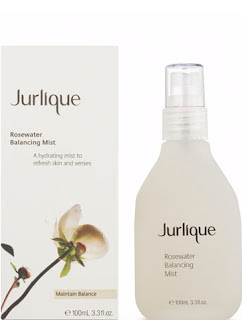 Sourcing as many ingredients from local farms and often growing their own herbs and flowers to harvest, Jurlique ensures only the purest ingredients goes into every jar or bottle of their product backed by a leading R&D team in South Australia to formulate the high-performing products. Below are just 2 of their products I’ve tried so far and love. Helps sets makeup and gets rid of the cakey look immediately after makeup applications. Rehydrates skin in dry environments, aka full blast air-conditioned offices. Tones and balances the skin out so it doesn’t produce as much sebum during the day. Best of all, it's like the freshest bunch of roses ever, sweetened ever so slightly with marshmallow root extract (which is actually an African floral plant, not the confectionery stuff you get from the supermarkets). Best Selling range for Jurlique, this emollient eye cream is soothing and refreshing and the botanical scent is not overpowering at all. Non-heavy or greasy, it quickly is quickly absorbed into skin to provide hydration and sooth any any crepiness you may have. Does a good job of brightening the eye with liquorice root extract. Used during mornings, this helped markedly with reducing puffiness but didn’t do too much for my incredibly dark circles. What I appreciate about the brand is that you can find see all the ingredients listing on their website. They don't hide anything about their products at all. It also helps me decide whether there are any ingredients that I might react to or don't want to put onto my skin. If you are someone who consciously make the decision to buy organic skincare products, rest assured that there won't be many others with Jurlique's quality and effectiveness. Jurlique products are available at department counters and selected pharmacies in Australia or online for Australia, Europe and the US. 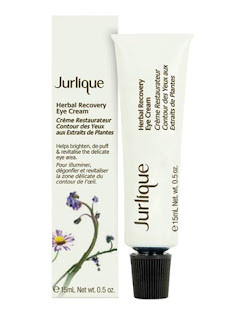 Have you tried Jurlique before? What are your favourites? Samples were provided for consideration from Jurlique counters. I have to try the eye cream - it sounds great. I've only tried the hand cream and like it. I swear by the Rosewater Mist, it saves my life daily! I have tried all the herbal recovery and nutri define products and of course the rosewater mist and they are all wonderful products for the face:) They are expensive but so worthed..